Xiaomi on Monday unveiled new Mi Bluetooth Earphones and Mi Dual-Unit Semi-in-Ear Headphones. The company also expanded its Mi Ecosystem by launching an Electronic Thermometer. While the Mi Bluetooth Earphones with Gray, Gold, and Black colour options come at CNY 299 (approximately Rs. 3,096), the Mi Dual-Unit Semi-in-Ear Headphones with Black and White colour options at CNY 69 (roughly Rs. 714). The Electronic Thermometer, on the other hand, is available in White colour option at CNY 19.9 (approximately Rs. 206). In the bouquet of new offerings, the new Xiaomi Mi Bluetooth Earphones sport a collar design and come with two dynamic coils that support tri-band equalisation. The drivers of the new earphones have a frequency range between 20Hz and 20kHz alongside featuring sensitivity of 100dB and an impedance of 32 ohms. Further, Xiaomi has provided a built-in battery pack that is rated to deliver up to 200 hours of standby time and eight hours of music playback on a single charge. The headphones also come with up to two hours of charging time with a 5V-1A charger. The latest Mi Bluetooth Earphones have CSR 8645 Bluetooth chip that supports AAC advanced audio coding technology and offer apt-X lossless output over a Bluetooth connection. Also, there is Bluetooth v4.1 connectivity. 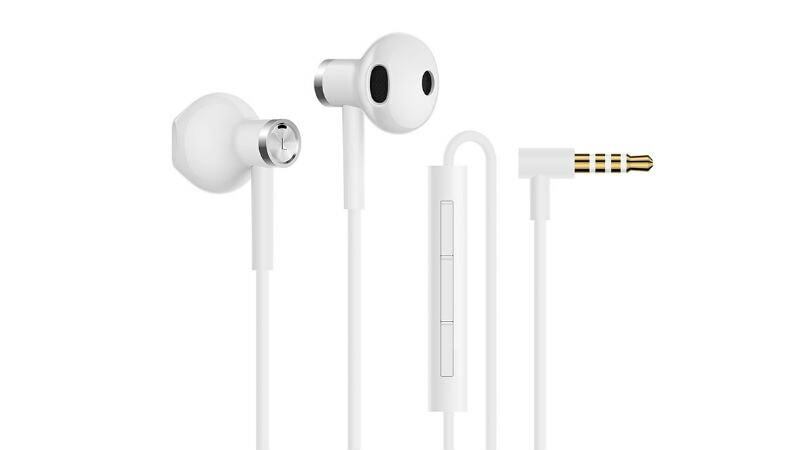 The earphones have a magnet that connects the earbuds when not in use. Moreover, they come with 40 grams of build that feature a matte metal texture. The Xiaomi Mi Dual-Unit Semi-in-Ear Headphones, on the other side, has a half in-ear design and come with a 1.25-metre cable that has a three-button, in-line remote with a built-in microphone and music controls. The headphones have a dynamic coil and are Hi-Res Audio certified. Also, they have a frequency range between 20Hz and 40,000Hz, sensitivity of 105dB, and an impedance of 32 ohms. The headphones additionally come with multi-layer ceramic speakers and have a glossy build with a ceramic texture that overall weighs 14 grams. Alongside the Mi Bluetooth Earphones, the Xiaomi Electronic Thermometer has been launched by the company. The thermometer doesn't have mercury and uses an electronic circuit that helps measure oral and underarm temperature. It is touted to sense body temperature changes of as low as 0.1-degree Celsius, with a measurement range of 32- to 42-degrees Celsius and ambient temperature of 5- to 40-degree Celsius. There is an LCD screen to display temperature and an automatic turn off feature. Similarly, there is a buzzer that helps notify users when the temperature is recorded. The thermometer uses a CR1220 Lithium battery. The Xiaomi Mi Bluetooth Earphones and Electronic Thermometer will go on sale in China on April 3. The Mi Dual-Unit Semi-in-Ear Headphones contrarily already available for purchase in the country. Details about the price and availability of the new Mi devices in markets outside of China are yet to reveal.